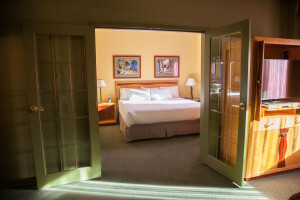 The Medicine Hat Lodge offers a variety guest rooms including, 130 deluxe rooms with twin queen size beds and 60 rooms featuring king size beds and hide-a-bed sofas. 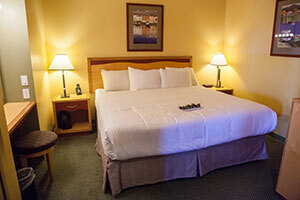 Each guest room is newly renovated with many upgraded amenities. The 1st and 2nd floor rooms of the North Tower are also pet friendly. 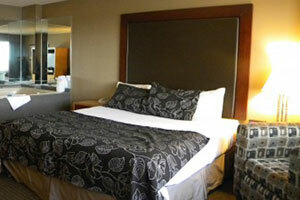 The Medicine Hat Lodge also boasts luxury one bedroom suites in our South Tower. 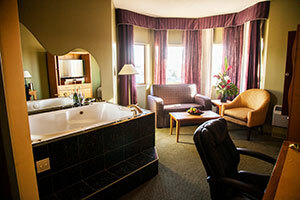 These suites include Jacuzzi tubs, Steam Saunas, 2 televisions, cordless and conference phones and many other amenities. 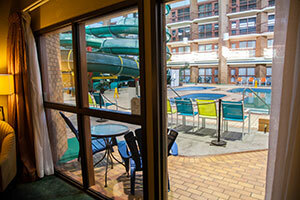 The South Tower also houses our luxury spa — Alberta Massage and Spa and a stunning outdoor Courtyard. Services available to our guests include room service, ice and soft drink machines on each floor, elevators, and porter service. 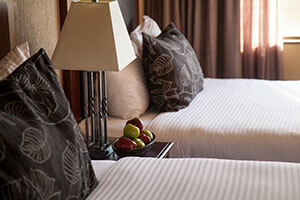 All our rooms are equipped with fridge, TV, hardwired internet and each room has its own wireless internet connection. 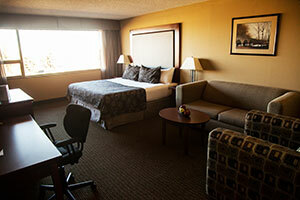 All our suites are equipped with 2 TV’s, fridge, microwave, and conference phone, hard wired and wireless internet.